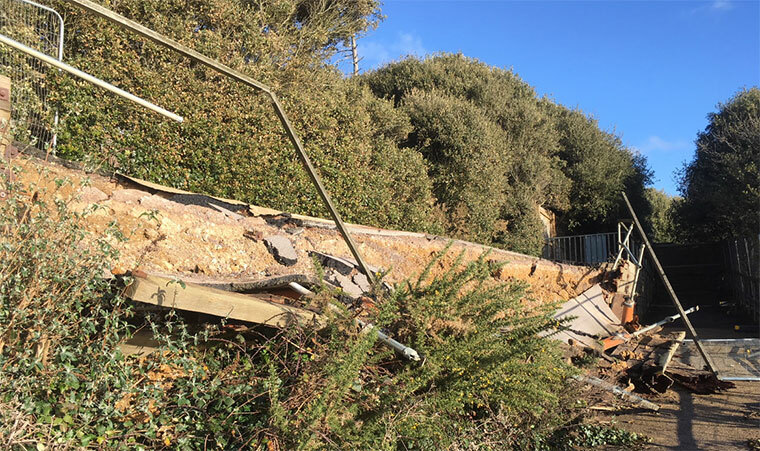 Closed in March 2017 due to safety concerns, the Highcliffe Castle zig-zag path could be reopen by Easter 2019 after members of Christchurch Borough Council have reviewed their original decision not to rebuild it. Following the recommendation of the Highcliffe Zig-Zag Path Task and Finish Group that additional funds be agreed for the reconstruction of the path, councillors have now voted unanimously in favour. The path requires a significant rebuild to make it safe for use again. Having originally voted not to proceed, members reviewed the decision and commissioned consulting engineers, AECOM, to refine their design and specification of the work. The full council decision means that additional funding of £239,500 will be set aside to allow the path to be rebuilt. The total budget allocated is now £884,500 rather than the original estimate of £1,250,000. This amount includes significant contingencies given the nature of the work involved at the cliff. The Coastal Communities Fund is contributing £279,125 to the project through the Dorset Coastal Connections portfolio. Cllr Vicki Hallam, chair of the Task and Finish Group, Christchurch Borough Council, said, “I am pleased that members have unanimously given the go ahead for the rebuild of the zig-zag path. We will now look to tender the work as soon as possible to test that the estimates are robust. Whilst we are keen to see the path reopened as soon as possible it would not be practical to carry out the work over the busy summer months so work is planned to commence in the autumn of this year with completion before Easter 2019.